+ Planting & Harvesting in the U.S.
Who were the Cigar Smokers? 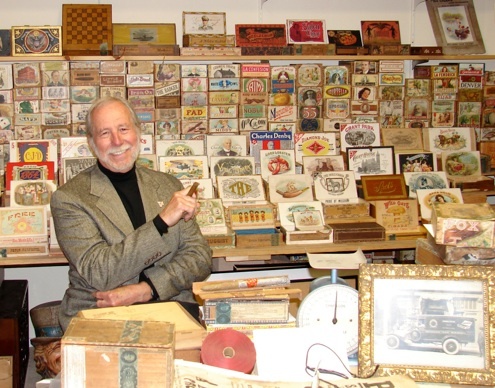 Who was the Cigar Industry? <> Catalogs of Cigars, Labels, Tools, etc. <> Poetry, Fiction, Legal cases, etc. MUST SEE you want to take more than one perfect photo a day. In the past 5 years I’ve taken 34,000+ close up, perfectly lit, hi res photos of documents and other items from the size of a large cigar box to the size of a lima bean. A bright ten year old can use the same system I use (tho 6 years newer) and be proficient in minutes. Would YOU like big, clear, perfectly lit photos of valuables YOU own? CONSIDER with whom you’d like to share photos: your lawyer, your accountant, your insurance company, your executor, your children. Could YOU use perfect photos of: coins, stamps, antique art, jewelry...whatever? Artisans can copy a piece and within seconds email the photos anywhere in the world. Privately. From your home. Even if YOU have NEVER operated a camera or computer YOU CAN TAKE PERFECT DIGITAL PHOTOS in privacy. Call the 800 number. You won’t be pestered with salesmen, but you can ARRANGE FOR LITERATURE OR a private demo at the distributor’s Southern California Offices. I tested it with a range of items I wanted to shoot, took it home and bless it EVERY DAY. Cost varies (depending on what you need). 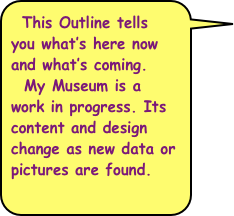 Cooperatives, museums, historical societies and Libraries ... endless possibilities. The Smithsonian took one look at my results and now has interns copying their valuables...Shouldn’t you? Where were the Cigar Factories? <> Where were they in 1885? Who were the Major Pre-1960 Companies? 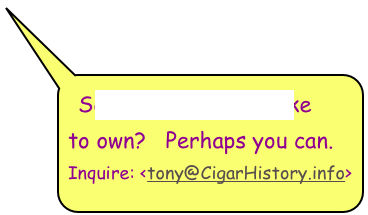 Lichtenstein Bros. (became Consolidated, then Altadis): SPICY. What you’ll find in an Exhibit. <> Close ... but no cigar! v m Where did the phrase come from? Box & Lable Periods in the U.S.